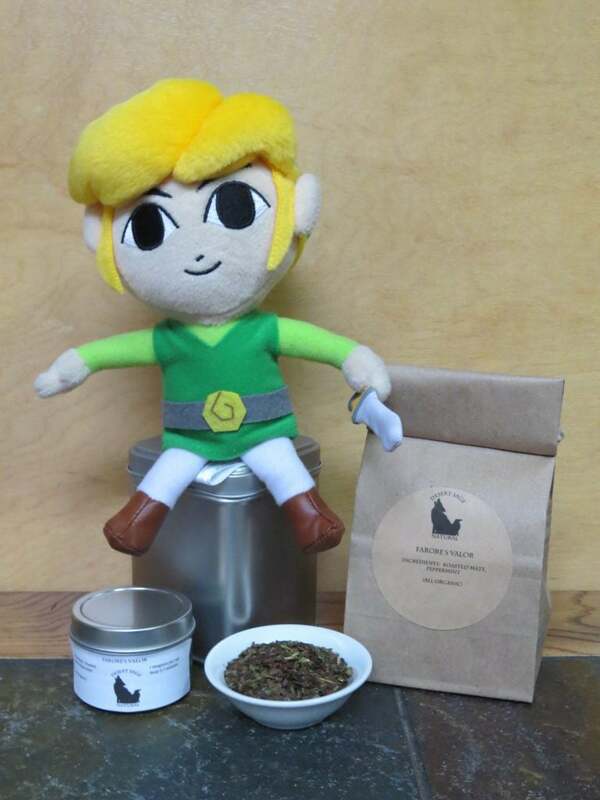 Having made that tea in salute to the Zelda-verse, we decided that we needed to make three companion teas to finish out the set. 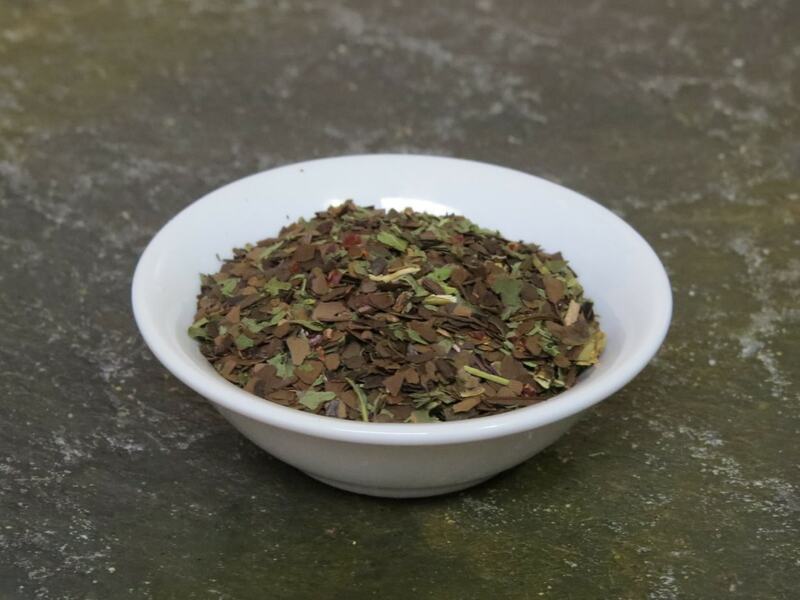 For ‘Farore’s Valor’ we began with roasted mate, and added peppermint. The mate fit for me for the creation of life, and the smell of peppermint makes me think of my favorite sort of wind. Cool and crisp, in the time around a rainstorm. This entry was posted in Herbal Teas and Tisanes, Mate Tea, Simply Tasty Teas, Things We make (Tea, Coffee, Cocoa) and tagged Desert Sage Natural, Gamer Tea, Geek Tea, Organic Peppermint, Organic Peppermint Tea, Organic Roasted Mate Tea, Zelda Teas by DesertSage. Bookmark the permalink.